Businesses care about the health and well-being of the Canadian workforce. Employees that can afford the medicines as and when prescribed will be healthier, happier, and more productive. In this election year, it is time for Canada's business leaders to call for universal, public pharmacare. By Steve Morgan Steve Morgan is a professor in the UBC School of Population and Public Health. Repeatedly over the past 50 years, national commissions and inquiries have recommended that Canadian medicare include universal, public coverage of prescription drugs. So far, no government has acted on this, creating profound inequities and inefficiencies in our health care system. But more than that: the lack of universal pharmacare is bad for Canadian businesses, large and small. In this election year, it is time for Canada's business leaders to call for universal, public pharmacare. Here's why. Businesses care about the health and well-being of the Canadian workforce. Employees that can afford the medicines as and when prescribed will be healthier, happier, and more productive. 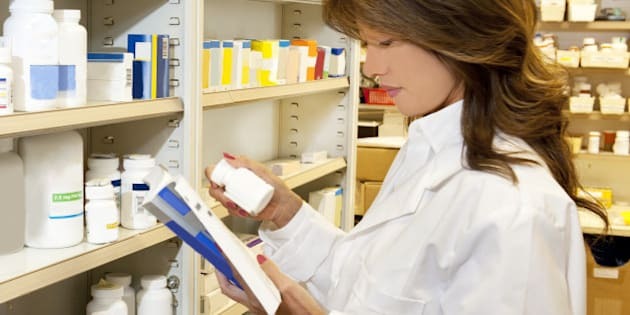 But VPs of Human Resources will tell you that, with growing use and cost of prescription drugs, managing drug benefits has become much more complex and difficult to sustain. Regrettably, private drug coverage decisions are made as part of contract negotiations that put employers and unions in the impossible position of deciding who gets access to what treatments. And as the costs of private plans grow, businesses of all sizes are forced to make difficult trade-offs. Small businesses -- a cornerstone of our economy -- are the least likely to offer drug coverage. Simply put, they can't afford it for the same reason that individuals find it difficult or impossible to get insurance if they have chronic disease: private insurance companies are not charities. Private insurers must charge groups and individuals premiums that reflect their actuarial risk. The problem is that about one in ten adults has costly, chronic needs for prescriptions -- to treat conditions like asthma, diabetes, hypertension, heartburn or arthritis. Smaller firms have difficulty shouldering the risk of employing a worker with such needs, or one with a spouse or child with such needs. The situation is worse for entrepreneurs who want to work for themselves but have chronic health needs in their families. All this leads to a labour market wherein people with chronic medical needs in their families must choose jobs based on insurance. Matters will only get worse as more specialized medicines -- which can cost $50,000 or even $500,000 per patient per year -- come to market. Currently, specialty medicines account for 1.3 per cent of private drug plan claims, but their costs add up to a staggering 24.2 per cent of total drug plan spending. These extraordinary costs should not be borne by a single business. Drug prices in Canada are among the highest in the world, mostly because our myriad of private drug plans dilutes Canada's potential purchasing power on the world market for pharmaceuticals. Take the common hypertension drug, amlodipine, which happens to be sold by a Canadian company in both Canada and New Zealand. A year's supply of this drug would cost $88 here but only $7 in New Zealand, where government purchases medicines on behalf of all patients. Canadians spent $286-million on amlodipine prescriptions in fiscal 2012-13. Businesses picked up much of the inflated tab. We recently published a study in the Canadian Medical Association Journal that quantified just how much Canada stands to gain from a universal, public drug plan. Under conservative assumptions, we found that such a program would save Canada's private sector over $8-billion annually while covering all Canadians for virtually all drugs - including all expensive biologic drugs. Contrary to what some pundits have claimed, our estimates included the cost of increased use of medicines that will result from increased access for Canadians who are currently under-or-uninsured. What we did not include was the additional savings that research also shows Canadians can expect by way of improved patient health and reduced demand on our hospitals. The proof that this would work for Canada is found in every other developed country with universal coverage of prescription drugs: they all promote more equitable access to medicines at substantially lower cost than we pay in Canada. Of particular interest to Canadian businesses is the fact that, if a national pharmacare program on par with average comparator countries were instituted today, private sector employers and unions would save over $5.5-billion, net of the $2 to $10 co-payments that would be charged under such a program. It is important to note that such savings would not come at the expense of the taxpayer. Indeed, the power of a universal public program as a negotiator of drug prices and promoter of appropriate prescribing is such that the incremental public cost to government of a universal program -- including the cost of increased use of medicines resulting from expanded public coverage -- would be only $1-billion, shared across all 13 provinces and territories and the federal government. Every comparable country with a universal health care system provides universal coverage of prescription drugs. Even the most expensive of such systems would cost Canada $4-billion less than our fragmented private/public system costs us today. Universal pharmacare would not only help the working poor, the uninsured, and the sick. It would also enable Canadian businesses to remain competitive in the global marketplace by securing the health of their workforce at far lower cost to business and society as a whole. It is time for business leaders to champion the cause.